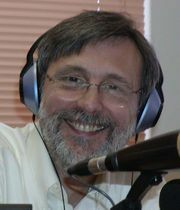 Thom Hartmann is a progressive radio talk show host, author, and retired businessman who was born and grew up in Michigan. His daily progressive radio talk show is syndicated and distributed to radio and television stations nationwide and in Europe and Africa. Thom has spent much of his life working with and for the International Salem relief organization. In 1979 Hartmann and his wife Louise founded New England Salem Children's Village whose main purpose is to provide a home and a nurturing environment for neglected and emotionally disturbed children and New England Salem Childrens Trust (NESCT). Hartmann served as NESCT's Executive Director for five years, and on its board for over 25 years. Through his affliiation with German Salem Intern Thom Hartmann is a progressive radio talk show host, author, and retired businessman who was born and grew up in Michigan. Thom has spent much of his life working with and for the International Salem relief organization. In 1979 Hartmann and his wife Louise founded New England Salem Children's Village whose main purpose is to provide a home and a nurturing environment for neglected and emotionally disturbed children and New England Salem Childrens Trust (NESCT). Hartmann served as NESCT's Executive Director for five years, and on its board for over 25 years. Through his affliiation with German Salem International organization and with that group he helped start international relief programs in Uganda, Colombia, Russia, Israel, India, Australia, and several other countries between 1979 and today. Thom Hartmann introduced the theory of hunters and farmers in his groundbreaking Attention Deficit Disorder: A Different Perception. In the book, Thom hypothesized that traits that were advantageous in a hunting culture - being alert to every sound in the environment, willingness to take risks, etc - became not so helpful when society switched to farming, and the prized trait was the ability to stick patiently to a task. The hunters and farmers theory of ADHD children is the idea that they are the "hunters" who are able to take in continuous stimuli and react quickly to changing circumstances. Whereas, non-ADHD children are the "farmers" who are patient, methodical, and focused over long periods of time. Unfortunately for ADHD children, traditional schools teach for the patient "farmers", and not the alert and quick reacting "hunters." In 1998 the New England Salem Children's Trust established The Hunter School and began to serve children who struggle in traditional education settings because of the educational and behavioral differences associated with ADHD. Hunter School, the Hunter School is a small, non-profit residential and day school where young boys and girls with Attention Deficit Disorder (ADD), Attention Deficit/Hyperactivity Disorder (ADHD) and Asperger's Syndrome are nurtured, educated and celebrated. As an entrepreneur, Hartmann's also founded several successful businesses including Woodley Herber Company which operated until 1978. In 1983 he founded International Wholesale Travel and its retail subsidiary Sprayberry Travel and the Atlanta advertising agency Chandler, MacDonald, Stout, Schneiderman & Poe, Inc., which did business as The Newsletter Factory. He sold his interest in that company in 1996 and retired to Vermont, although he and Louise now live in Washington D.C., complete with a radio studio and their mascot attack-cat, Higgins. Thom Hartmann isn't a Goodreads Author (yet), but he does have a blog, so here are some recent posts imported from his feed. 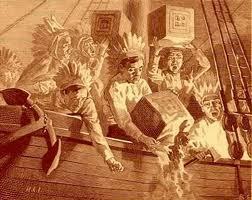 Are the Koch Bros and their Tea Party followers shutting down the Government now? Negotiations in Congress to prevent a government shut down have reportedly fallen through. Senate Majority Leader Harry Reid placed the blame on Tea Party Republicans who are refusing to compromise in budget negotiations saying, "The infighting between the tea party and the rest of the Republican Party…is keeping our negotiating partner from the negotiating table." Is this you? Let us know. If not, help out and invite Thom to Goodreads.